REGULATION ‘will not kill off cryptocurrency’ despite the warnings of Nobel Prize-winner Joseph Stiglitz and two other world-renowned economists, according to experts. The former chief economist of the World Bank was joined by Nouriel Roubini and Kenneth Rogoff in claiming Bitcoin’s value could plummet to just $100 after being “regulated into oblivion”. But experts from trading platform Blocktrade.com and LoyalCoin have countered these claims, stressing that regulation is inevitable and will in fact be vital to cyrpto’s growth. 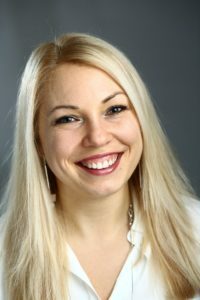 said: “Lack of regulation has been vital to the growth of cryptocurrency and blockchain technology, but eventually it will have to outgrow its beginnings. Speaking to Financial News, Nobel Prize-winning economist and former chief economist of the World Bank Joseph Stiglitz claimed government regulation will have serious ramifications once crypto “becomes significant”. “You cannot have a means of payment that is based on secrecy when you’re trying to create a transparent banking system,” he said. “If you open up a hole like bitcoin then all the nefarious activity will go through that hole, and no government can allow that.” Economist Kenneth Rogoff added that the value of Bitcoin could plummet to as low as £100 in 10 years after people in power “move to regulate anonymous transactions”. But Paolo Bediones, COO of LoyalCoin and Appsolutely Inc, has backed calls for global regulation, which he says will encourage more businesses to start taking the emerging technology seriously. His firm is the first Philippine crypto and it successfully held a token generation event ending in February 2018, producing 9 billion coins. “Regulation will be essential to the adoption of cryptocurrency on a global scale, but authorities shouldn’t be too strict — making sure they allow room for growth and innovation,” he said. “Some merchants are very wary once they see word cryptocurrency. And that is understandable. “It is an alien world to many businesses. But when they see others involved, they begin to appreciate the risks involved are lower than first anticipated. 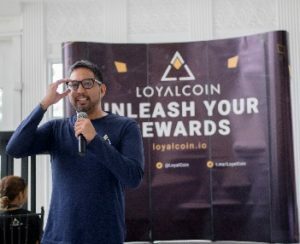 Bediones’ blockchain-powered LoyalCoin aims to create a global rewards network of retailers, where all loyalty schemes are linked to a single virtual token. Members of this 200,000-strong community can redeem these in places like 7-Eleven and GongCha in the Philippines. He added: “We have experienced some skepticism about the potential in the blockchain and cryptocurrency — but that can soon disappear with the correct education. Currently, most of the world’s digital currency industry operates in a legal grey area, as rules can vary wildly from country to country. Japan, for example, has introduced a licensing system for digital-asset exchanges while China has introduced strict rules to crack down on the tech. Digital-asset exchanges and ICOs have been outlawed, and access to overseas trading platforms have been blocked. Talks have taken place to rectify the lack of global coordination, the Argentina G20 summit and a Europol conference las month being two, though authorities are no closer to coming up with a global plan. among exchanges is high. He said: “Many of the larger organisations have now decided to impose their own version of self-regulation. “There are taking matters into their own hands and vetting who can and who can’t make trades using their platforms. 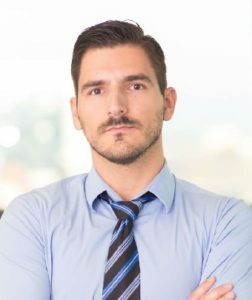 “They monitor suspicious funds and, like at Blocktrade.com, make sure all the assets they list go through a strict vetting process. “Protection under proper regulation comes from transparency of assets, transparency of the company, and transparency in trading and transactions in order to minimise risks for investors. “We want people to be willing to invest in crypto, confident they can move away from traditional investment into crypto assets. And our goal is to have European regulators recognising crypto as a real asset and to put it into the existing regulatory framework. Blocktrade.com is a pioneer for tighter regulation and aims to introduce traditional financial products and concepts to the digital world — promoting safer trading and secure investment. Established by experts from Deloitte, Deutsche Bank and Numerica Partners, each asset listed will have been vetted by the platform in terms of legitimacy in order to minimise risk for investors.